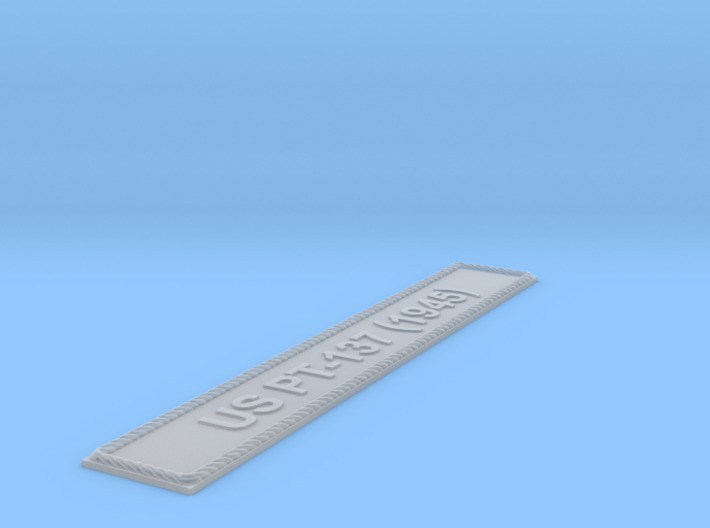 Nameplate reads "US PT-137 (1945)" in Arial font with decorative rope border. Product measures 126.6 mm x 20.0 mm. Available in acrylic plastic. 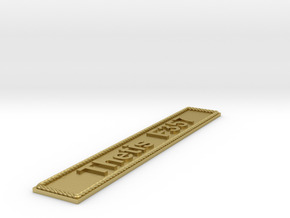 This product can be printed in real metals if reduced in size (upon request).